Despite the chatter of the last few years, it’s been looking a lot less likely lately that Apple’s living room ambitions include an actual television set. Wednesday night brought more evidence that Apple(s AAPL) is keeping its eyes on home entertainment by sticking with its current set-top box form factor: The Wall Street Journal reports that Apple’s been looking to get cable companies to offer their live content through Apple TV. It’s very similar to previous reports over the past couple months regarding Apple’s efforts to woo the cable industry and suggests that little progress has been made. Whether the device under discussion is an iteration of [current Apple TV] hardware or a more sophisticated box is unclear. Right now, Apple TV is $99 and offers streaming content from iTunes, as well as Netflix(s NFLX), Hulu Plus, and a variety of pro sports through apps from MLB, NHL and NBA, most of which require subscription plans. 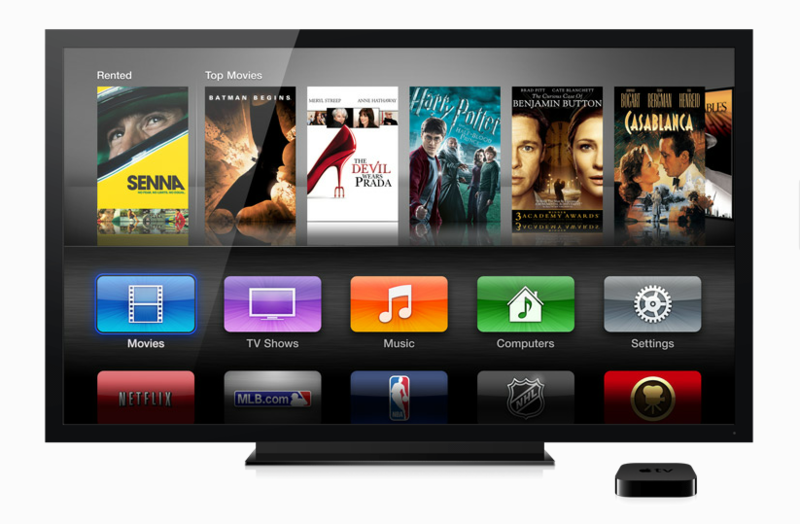 Apple sells both one-off TV and movie shows and rentals, and also offers iTunes subscriptions to some TV series. But no subscriber would confuse what Apple offers with a true alternative to a cable box. Apple has a ways to go to catch up with Microsoft in the living room. Microsoft’s Xbox Live(s MSFT) service is in many more millions of homes and the company has been able to strike deals with both content providers directly like HBO and ESPN(s DIS) and also has cable partnerships currently in place, offering content from AT&T U-Verse(s T), Comcast (s CMCSA)and Verizon(s VZ). Apple’s set-top, which was originally labeled a “hobby,” got off to a slow start after launching in 2007, but after a price cut and redesign in 2010, has been picking up steam. Last month Apple announced that sales of the box have more than doubled in the last year: in 2011, it sold 2.8 million units. Between January and July this year, it’s already sold 4 million. This post was corrected at 8:27 p.m. Previously it said none of Apple TV’s content was live, however MLB, NHL and NBA do offer live streaming sports. Hereâ€™s the problem as I see it: Netflix, Hulu, YouTube, and anyone else can produce their own content, but there are only two ways for them to get their content to the public: OTA and cable. Obviously the broadcasters control OTA; and they have content which is so attractive to the public that it gives the broadcasters control of the cable companies as well. Apple facing a few roadblocks before a highly successful idea. Just a quick note on Apple TV and live: MLB.tv, NBA, NHL, and WSJ Live all stream live content.